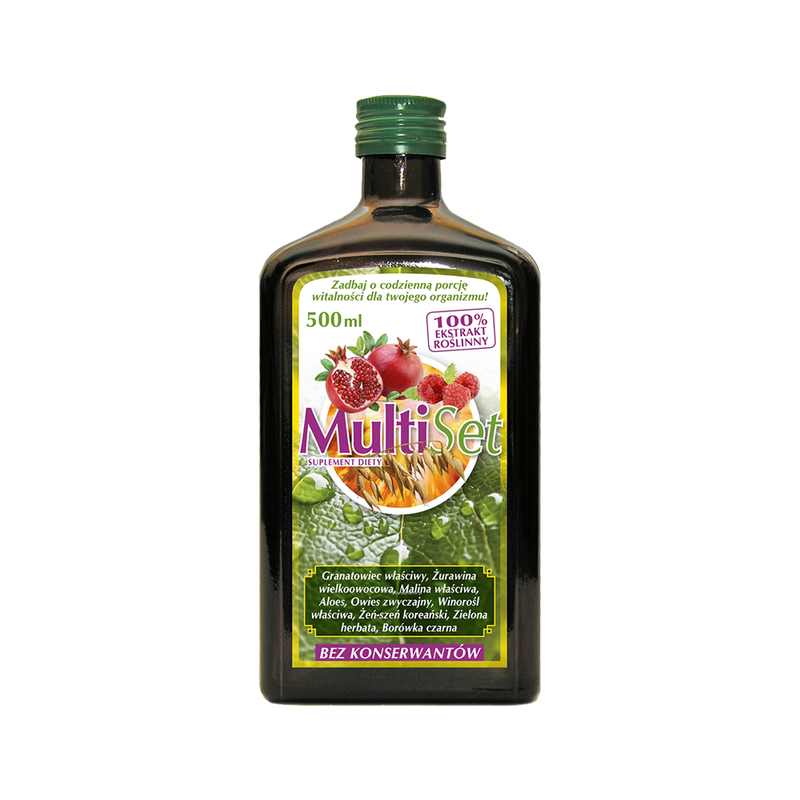 Components: maltodextrin, L-ascorbic acid, the acidity regulator (citric acid), citric flavour, sweetening substances (E952, E955), rosehips extract (Rosa Canina) (one portion is equal to 20 mg), citrus bioflavonoids (dried fruits Citrus Sinensis). Portion recommended for consumption: dissolve one portion (2 g) in 200 ml of water. Take up to two portions of the powdered drink a day. One portion of the product is equal to one flat calibrated spoon, to be measured by using the bigger end of the calibrated spoon having a 2.5 ml mark. The expiry date: look at the bottom of the case-bottle, to the end of the marked month. Storage: you should keep it in a dry, cool and dark place, out of the reach of children. You should always thoroughly turn off the nut of the case-bottle. 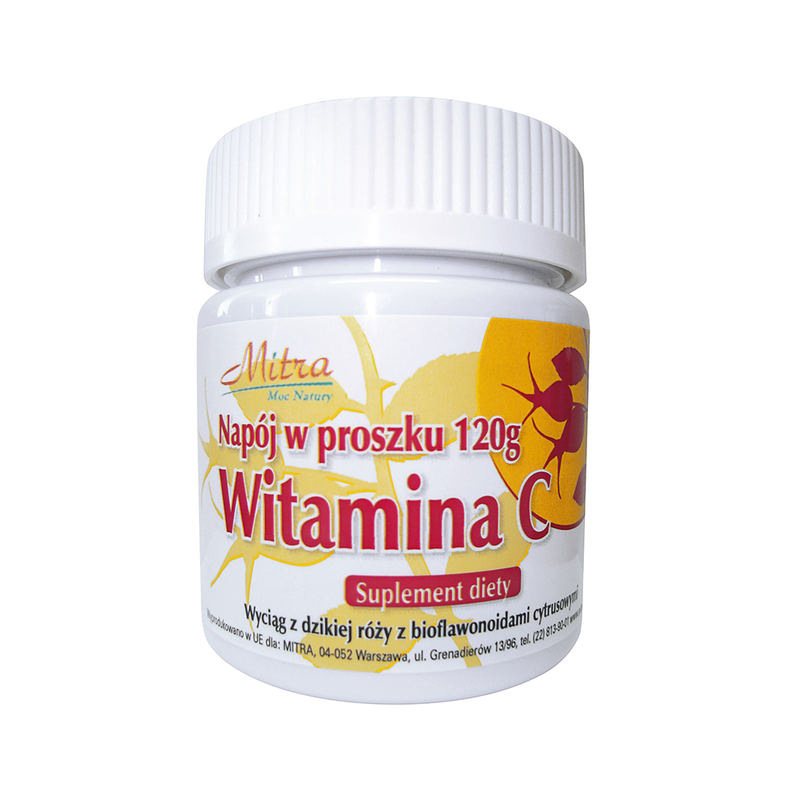 The C vitamin has an anti-oxidant effect, due to which it prevents harmful oxidation processes and the ageing of cells of the human organism as well as it supports its immunity system. The natural form of the C vitamin, contained in the rosehips (Rosa Canina), is the main reason of the fact that its beneficial effect has been universally known for generations. Moreover, the citrus bioflavonoids–coming from the dried fruits (Citrus sinensis) and contained in the preparation–additionally contribute to strengthening the preparation’s anti-oxidant effect. 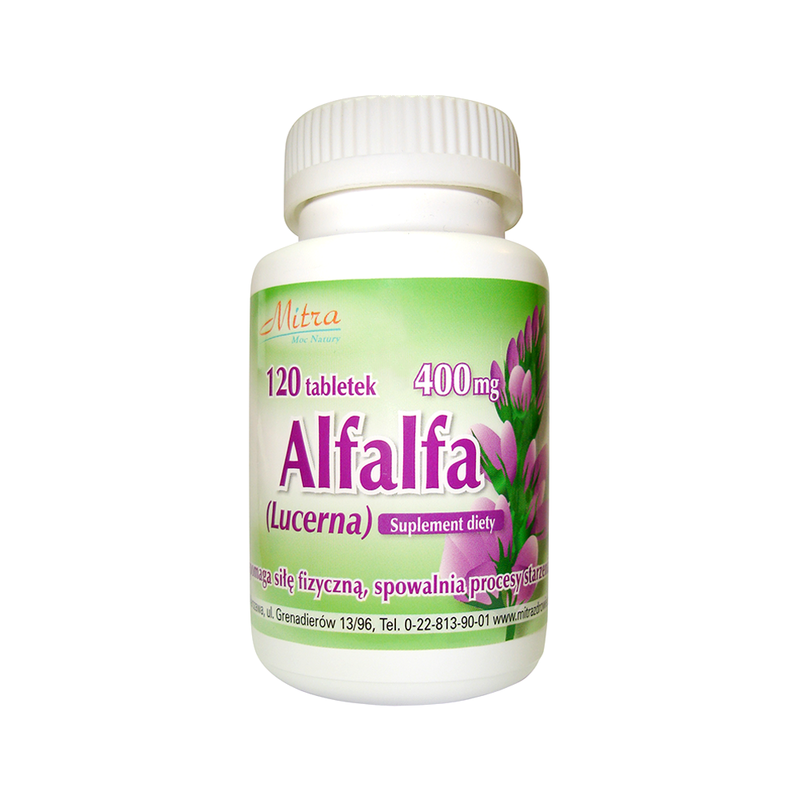 Taking the product is recommended particularly in case of the homogeneous diet, lacking vitamins, smoking cigarettes, taking contraceptive pills and also with the aim of increasing the human organism’s immunity during recuperation after a disease. Warning: You should not take the preparation in case of sensitivity or allergy to any of its components. The powdered beverage is sensitive to water vapour in the air and that is why you should thoroughly turn off the nut of the case-bottle after its every opening. Taking supplements of the diet cannot be treated as a substitute for a balanced and diversified nutrition and for the healthy way of life. You should not exceed the recommended daily dose.